The College of Veterinarians of Ontario will make it easier for its members to get more involved in telemedicine across the province. Jan Robinson, CEO of the College of Veterinarians of Ontario, says improving technology will also make it easier for vets to potentially, in the future, make diagnoses online. The organization recently approved the use of telemedicine for vets. It means that a vet can start a relationship with a client online— the animal does not necessarily have to be brought into a clinic. Jan Robinson, the registrar and CEO of the college says it's the first step in making access to a vet easier in rural and remote areas. "Generally veterinary medicine has been very hands on with animals," Robinson said. 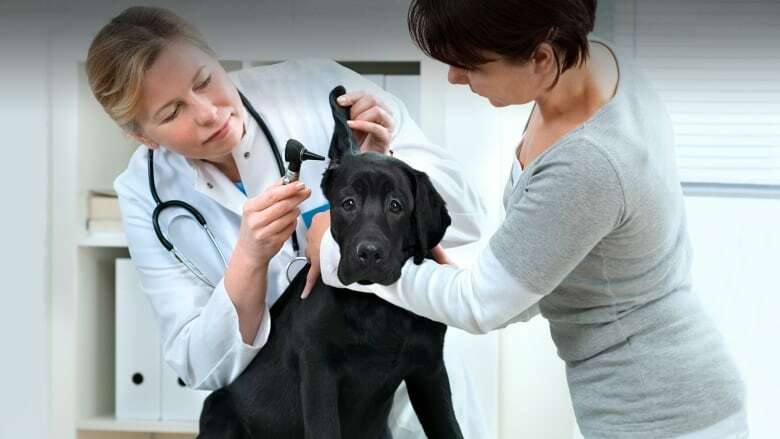 "Animals can't speak, so being able to look at the signs and symptoms of a presenting animal and examine them is a basic tenet of a diagnosis and treatment plan." "It may not be that the veterinarian can actually do a diagnosis without actually physically seeing the animal, but there will be areas of triage," Robinson said. Online diagnoses in the future? Robinson says improving technology will also make it easier for vets to potentially, in the future, make diagnoses online. "As technology advances, and as veterinarians are able to gather initial information from clients, via phone or skype or pictures, truly that relationship can start to be developed at a distance," she said. "Veterinarians are going to begin without necessarily having either attending at that farm or at that client's home, or having that client attending at a clinic or at a hospital."